A couple of years ago, a buyer who is also an experienced builder was interested in buying a one-acre lot backing out to State land. He asked his Realtor if anything would be built behind the lot that he was interested in. The buyer bought the acre lot. Two years later, the family’s dream home was built and the family moved into their new mansion worth $2 million. A few months after moving in, construction trucks rolled in behind the buyer’s custom home. The trucks were preparing to construct a sewage treatment facility. The buyer was horrified. The value of their home was suddenly $1 million lower. The buyer filed a $1 million dollar lawsuit against the seller and the seller’s Realtor for non-disclosure. The buyer also sued his own Realtor for not complying with his fiduciary duties of care and honesty. The court ruled against the buyer after more facts surfaced during the trial. The buyer bought the land in 2005 when the market was at a peak — and as soon as the house was constructed, the market tanked. The buyer owed more than what the house was worth. The buyer had to short-sell the house. His lender forgave his debt due to the debt forgiveness act and he owed nothing towards the house. The jury found the buyer’s intention to claim $1 million as a way to profit from his loss and his intention was quickly declined by the jury. Always document your conversations regarding important subjects via email or in writing. In the case above, for example, it would have helped if the buyer’s Realtor had documented his conversation with the buyer about the possibility of future construction in the area. For land purchases, be certain to have the buyer sign documents acknowledging receipt of a copy of the public report. I attended a Purchase Contract Writing class earlier this year. The instructor – let’s refer to him as “Realtor X” — told a story that happened during one of his transactions years ago. This story was meant to let Realtors know how writing contracts is very important in closing deals. The buyer represented by Realtor X went under contract with the seller of a luxurious home. During the walk through, the buyer noticed that the luxurious chandelier in the foyer of the home was missing. He called Realtor X to get the chandelier back, because this chandelier was key to him making the decision to purchase the house. Realtor X got in touch with the listing agent to recover the chandelier. The listing agent said that the seller wanted to keep it and that the MLS information mentioned that the chandelier would NOT convey with the purchase of the home, and therefore stay with the seller. The buyer was not happy. He demanded that the seller return the chandelier or credit him the value of the chandelier in order to close escrow. 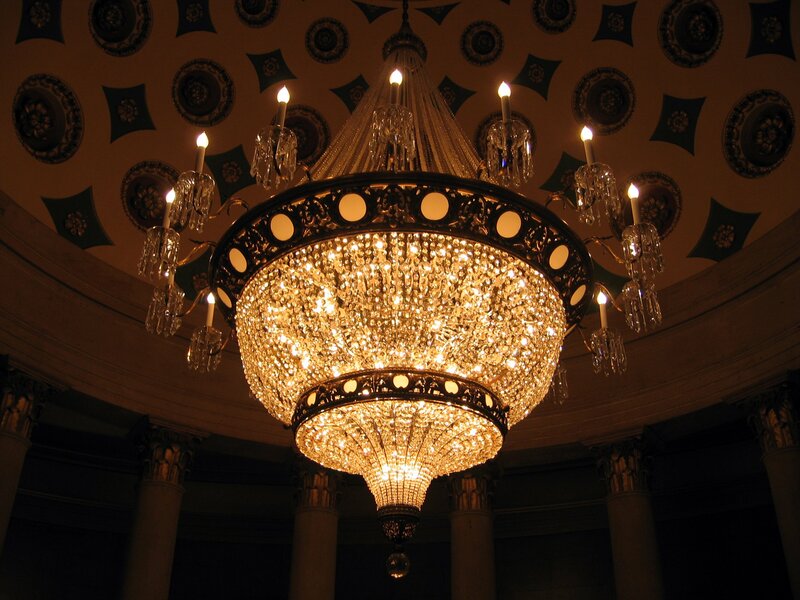 The one-of-a-kind chandelier was appraised and was worth thousands of dollars. In order to close the deal, Realtor X and the listing agent gave all of their commission towards the chandelier value, and ended up working the sale for FREE. Lesson learned: The sales contract should have stipulated that the buyer would take possession of the chandelier at close of escrow OR that the chandelier would not convey with the purchase of the home. Both Realtors failed to write it in the contract. Although the MLS mentioned that the chandelier was not to convey with the home, the MLS it is NOT a binding document – the purchase contract is. One missed item in the purchase contract caused both Realtors all of their commission. It is a lesson not to be forgotten. A lady – let’s call her “Lady X,” had been following my real estate career through the years and from time to time called me asking for real estate advice. I did show her a rental property once but she ended up renting a friend’s house on her own. I counseled her regarding landlord issues, prequalifying for a loan and more. One day she called me asking for money from me to help her buy a property two houses down from her house. She also said she was pre-approved for a loan. Why would she asks for money if she was pre-approved? That certainly did not add up. So, I asked her to send me the pre-qualification letter from her lender Chase Bank. She never sent me the pre-qual letter. A few days later she called and said “I purchased a property!” “Where?” I asked. “Down the street,” she replied. She had signed a contract with the listing agent holding an Open House, but then called me to say she was worried about who was representing her. My first question was, “Why didn’t you call me?” Her reply was that she was just dying to get THAT house and couldn’t wait to sign a contract. Also, she said I didn’t believe her when she said she was pre-approved and that I needed to see the pre-qualification letter. On the other hand, the listing agent didn’t require that. But now she called asking that I represent her if the seller was willing to accommodate a buyer’s Realtor, despite the fact the contract was already signed. Well, in this case – where a buyer signs a contract with the seller’s Realtor – there is obviously one agent taking care of both the buyer and the seller. The agent becomes a “dual agent,” and will take care of seeing the transaction come to a close. But as a stranger walking in to buy the house, you have limited representation when the listing agent is also representing the seller. In reality, you, the stranger, will have to watch out for your own best interests and know your rights and resources at this point. This listing agent also gets both sides of the commission. This can be a good or bad thing. Good because a listing agent is heavily motivated to close the transaction. Bad because legal battles often arise from dual representation situations. A week later after this woman called me, I called her back to find out why the house she signed a contract on was back on the market. She replied, “I canceled it and did a contract on the house that is next door to me for a lower price.” When I asked regarding who represented her on this new purchase, she replied that she was represented by her daughter’s friend, who is a part-time Realtor. My jaw dropped in awe. Lady X, who I’d counseled multiple times over the years, ran away with my ideas and found someone one else to represent her in the deal within a few days from having the “representation” conversation. Counseling a customer doesn’t mean they have an obligation to hire you. Customers can consult one or more Realtors and use this information against one another. In some cases, a Realtor charges a consultation fee for advice – however, I did not do that with Lady X, or with any of my clients. If you treat people right, they will typically treat you well in return. It’s called the Golden Rule. When a person calls a Realtor and says she wants that Realtor to represent her, then turns around a few days later and makes a deal with another Realtor, it’s a classic case of deception and bad faith. In my book, these are people you stay away from because they are either suffering from extreme memory loss or just plainly care only about themselves. People who show respect to the Realtor who takes care of them will be rewarded in kind. Realtors like me will walk an extra mile to reward loyalty. Realtors vary in many aspects of the business – personality, methods of communicating, knowledge, professionalism, experience, etc. Find a Realtor that best fits your needs and personality. Every client is also different. There are those who value service and those that emphasize cost over service. As a Realtor, I qualify my clients the same way as customers qualify their Realtors. It’s a two-way street. I agree to work with clients who understand and value great customer service and my expertise, knowledge and experience. I am repelled by potential customers who want a piece of the commission in order to hire you. Discount Realtors provide discount rates – and usually cut-rate service. Part-time or below-average Realtors may take on this type of client, but Realtors who want to share their service and knowledge and the integrity of the profession do not succumb to – nor do they need – this type of arrangement. That’s why such Realtors become GREAT at what they do. I Have Multiple Offers on My House – What Should I do? I recently received multiple offers on a couple of properties I listed. One of the homes received multiple offers after only one day of showing. It is flattering to receive multiple offers back-to-back. It is similar to receiving more than one proposal for your heart at one time. The problem is — who will you pick? Counter one offer at a time. Counter all the offers at the same time. Accept one of the offers. Why are the buyers buying the house (determine motivation)? Which buyer is most qualified? Who needs the house sooner? Which buyer’s Realtor is easier to work with? Which buyer has the lender that is reliable and can close on time? Finding more information about the loan officer and lender is a critical choice. In many cases, a lender can make or break the deal. The listing agent should know if the lender can close on time; the lender’s requirements; the structure of the loan officer’s business; the ability of the loan officer and his or her team to communicate with you; level of experience; track record, and so on. Big banks like Wells Fargo, Chase Bank and Bank of America, based on my experience, do not provide good training and supervision for their newer loan officers. This can result in many failed transactions. Big banks have a multiple layers of bureaucracy and restrictions that can prevent the Realtors and all parties involved from knowing what is really going on with the buyer’s loan application. I had a file handled by a Wells Fargo loan officer which did not close because the loan officer could not get the buyer’s salary disclosed in the loan documentation to match up with the buyer’s salary as reported by their employer’s a few days before closing. The buyer did not get the house and I earned zero commission on a transaction that was near its conclusion. The listing Realtor’s art of disclosing or not disclosing information on other bids is dependent on seller instruction and is crucial in influencing the final price for the house. On the other hand, it is possible for some buyers to lose interest in a property if placed in a multiple-offer situation. These type of buyers are not interested in competing and raising their price; they would rather go look for other properties than watch the prices go up. It is important for the listing agent to keep the buyers updated about the process and to keep the buyer’s Realtors engaged in these exchanges. Otherwise, you can lose ALL your buyers. If you are fortunate enough to get multiple offers when selling your house, if you aren’t working with me, be hopeful your Realtor follows the rules I do: Think smart, know your buyers, and engage with them to compete with each other’s bids.